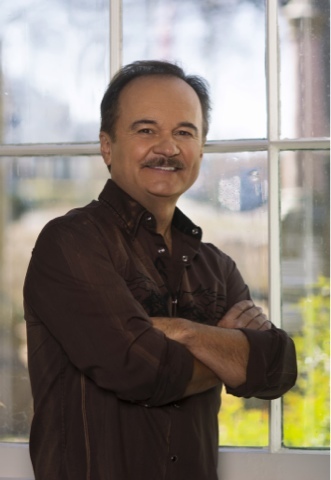 NASHVILLE, Tenn. (August 15, 2016) – The Gospel Music Association just announced their nominations for the upcoming 47th Annual Dove Awards, and Country Music Hall of Fame member Jimmy Fortune was nominated in three categories. All nods came as a result of Fortune’s critically-acclaimed album Hits & Hymns, released in 2015. The project features some of Fortune’s closest friends, including Vince Gill, The Oak Ridge Boys, The Isaacs, Dailey & Vincent, Ricky Skaggsand more. The Statler Brothers member picked up one nomination for “Bluegrass Recorded Song of the Year” for the track “Life’s Railway to Heaven,” which features The Oak Ridge Boys. The next nomination came in the “Country Recorded Song of the Year” category for the inspirational song, “I Believe,” featuring The Whites. Lastly, Hits & Hymns was nominated in the “Bluegrass/Country Album of the Year” category. The 47th Annual GMA Dove Awards will take place in Nashville, Tenn. at Lipscomb University’s Allen Arena on Oct. 11. The ceremony will be taped and air on Oct. 16 on Trinity Broadcasting Network (TBN).